You're a Roman! Beside the Tiber River, you and your people were created by the great Romulus and Remus. Beginning as a small, unheard of town in Italy, your people overthrew their rulers and grew to become the largest Empire known to man. Which ancient society do you belong to? 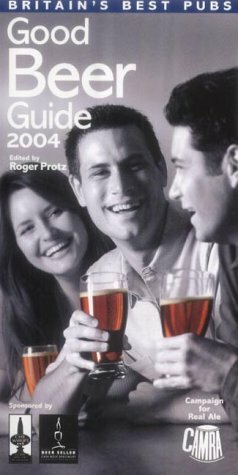 If you like many others have bought the 2004 Good Beer Guide, you may have noticed that its cover is, well, rubbish. Apart from the stupid colour scheme - monochrome except for the beer, it looks like they've used a different photo and done a bad photoshop job on it. Notice the way none of the liquid seems level with anything else. Notice the bloke on the right doesn't seem to be holding his pint properly, if at all. Notice that the woman on the left, who seems to have been added as an afterthought, seems to have a "pint" glass of a different size to the others. I bet you could find a picture of these three in exactly the same position holding wine glasses. All in all, it looks like a vain attempt to make Jehohah's witness city types look like real drinkers. I thought you might like to know what was no.1 in the UK charts on each of my birthdays. Although I don't know why you would be, 'cos I'm not. 29 - The way I are by Timbaland featuring Keri Hilson and D.O.E. I bought these off ebay last week - possibly the smallest set of handbells in the world! Start at backstroke with rounds as the first row of a slow six.